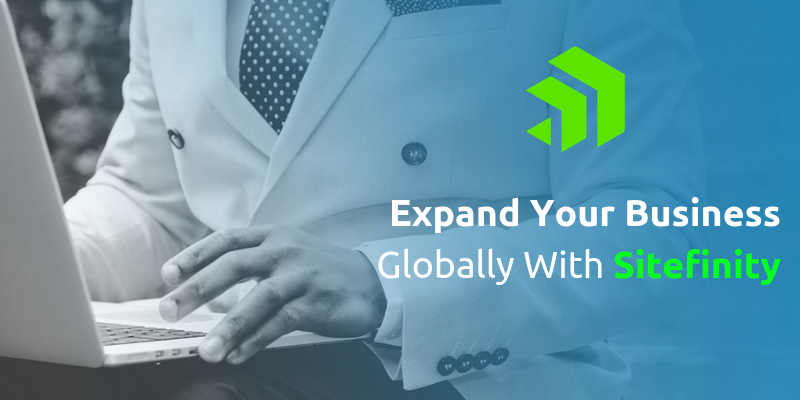 How IDS Logic Can Help You Expand Business Footprint Globally with Sitefinity? Choosing the right digital platform to improve your business outcomes requires core competency as it is essential to engage the audiences through varied digital channels. Delivering an experience that boosts engagement, conversions and advocacy may be really difficult without the right technology. Here in this blog, I will discuss how experts from IDS Logic can help in enabling organizations to easily transform as digital businesses. We will consider Sitefinity CMS as a platform in the strategically important market for digital experience platforms. Offering a great digital experience is imperative today for every business and poor experiences quickly result in great dissatisfaction among the customers. In fact, with customer’s expectation on a continuous rise, it is no longer a competitive differentiator. 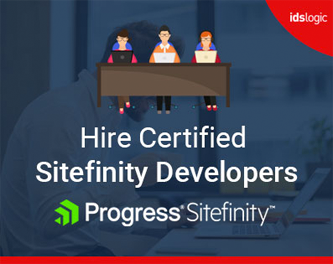 Delivering a consistent and a great digital experience using Sitefinity CMS development is a mission critical core competency for companies hoping to build their business online. The importance that organizations give to digital experience is reflected in their experience. Research has stated that about two thirds of the organizations have taken the initiative and about three quarters are now increasing their budgets to deliver digital experience. How IDS Logic Uses Sitefinity CMS to Make a Great Customer Experience? It is true that a good experience and great web design with rich features often put customers at the center and help to engage them using their favorite devices and channels. But architecting the best digital experience for the customers requires a clear understanding of their intent from one micromoment to the next and offering them with relevant options, content or any other offers. Is Your Sitefinity Website Slow? It also needs leveraging insights derived from previous interactions to have a deeper understanding of the customer connection. Our Sitefinity developers have years of experience and have worked on various projects. We can help you develop the best solution for your business. Sitefinity CMS is the best platform that enables business and IT to collaboratively deliver, create and manage personalized and omni-channel experiences. The best digital experience is always a part of art as well as science. The magic is how both content and data can be combined to create engaging and relevant experiences. Sitefinity CMS platform provides the foundation that is needed for digital experience delivery, together with analytical capabilities needed for optimization. Sitefinity helps to add editorial content, rich media, images or new content types and also enables content to be served dynamically according to the business rules. Our Sitefinity experts help to integrate workflow capabilities that allow the team members to automate their work wherever possible. The workflow automation makes the processes more consistent and manageable and also improves the visibility, reduces risk and improves the team productivity. With Sitefinity, you can now help your team manage as well as publish the content independently of the presentation. Sitefinity supports responsive design, so that the content can dynamically adapt to different devices and channels. Other additional capabilities include site search, multisite management, customer interaction analytics and SEO. The easy to use authoring tools also help publishers and marketers to create and publish websites, offer mobile HTML experiences and launch sites without any help from the IT team or the developers. Extending your business applications to the digital touch points is crucial for a digital experience delivery and this makes integration with other business applications a key requirement. Your CMS platform should have the capability to integrate with CRM or ERP systems, inventory management and repositories like Microsoft SharePoint and etc.